Can't find the book you are looking for? Search more than 3 million titles including 2 million Google Books and 1 million books available from more than 8,000 publishers. Get paperback books printed on demand within one hour. 1. 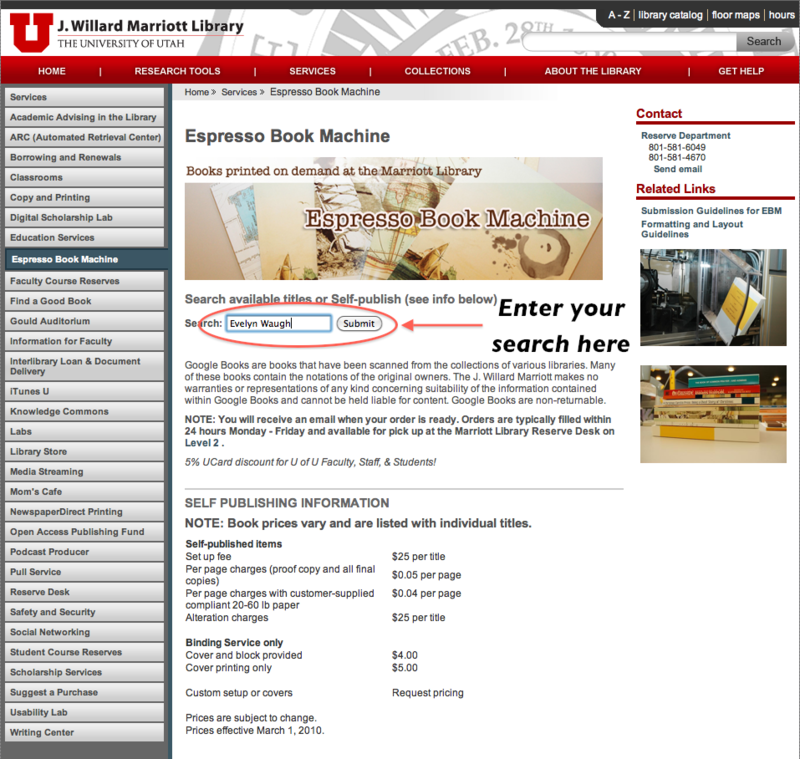 To access the EBM catalog as well as Self Publishing Guidelines go to www.lib.utah.edu and choose "Espresso Book Machine" from the Services menu. 2. Enter the most specific title, author or subject information possible into the search field for best results. Searching by ISBN is also possible. You will be searching more than 2 million Google Books and more than 1 million titles from over 8,000 different publishers. 3. 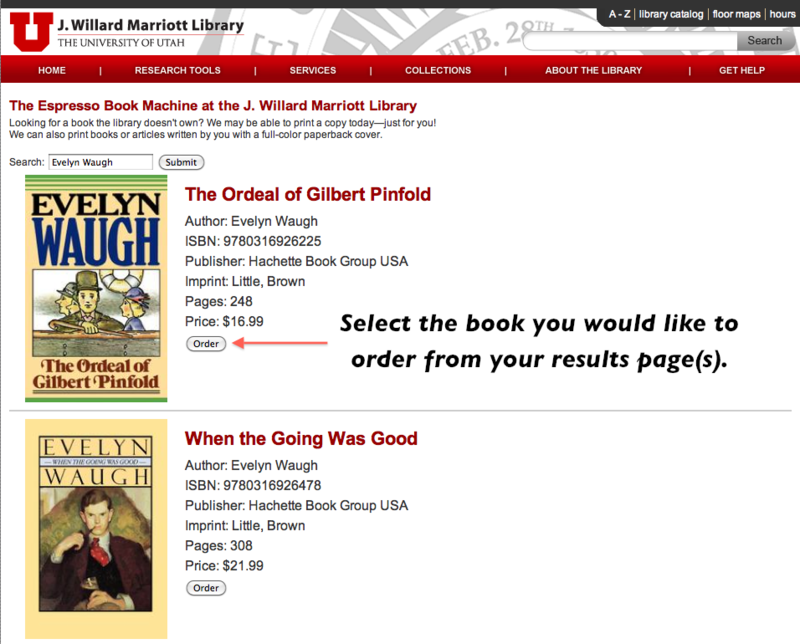 Select the book you want to order by clicking on "Order". This will take you to the order confirmation page. 4. Once you have made your selection input you NAME, EMail, and the quantity for each book you are ordering. 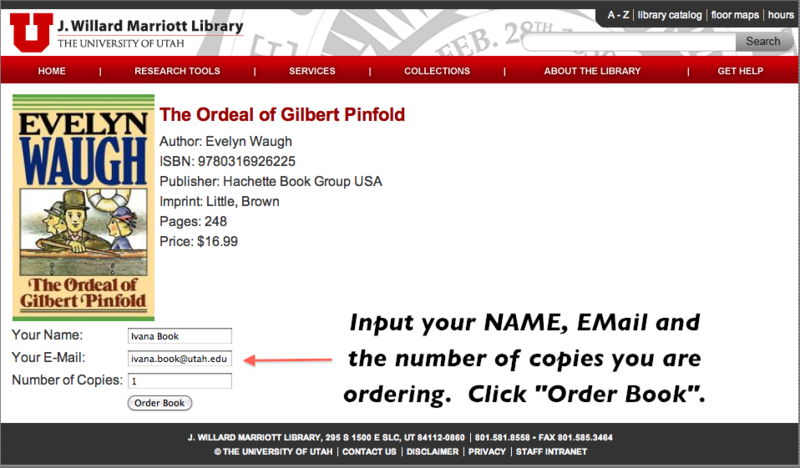 When ordering additional titles you will again be prompted to input your contact and quantity information. 5. You will receive an EMail confirmation that your book is ready for pick up. 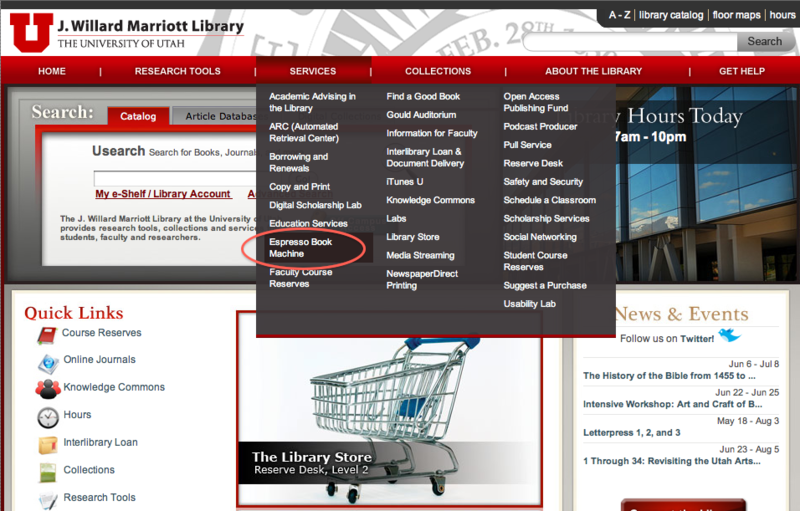 Books can be paid for at the Level 2 Reserve/Cashier & Library Store at the Marriott Library.